A child kisses former President APJ Abdul Kalams photo at Chikmagalur in Karnataka. DMK leader MK Stalin pays his last respects to former President APJ Abdul Kalam at public view ground in Rameswaram. 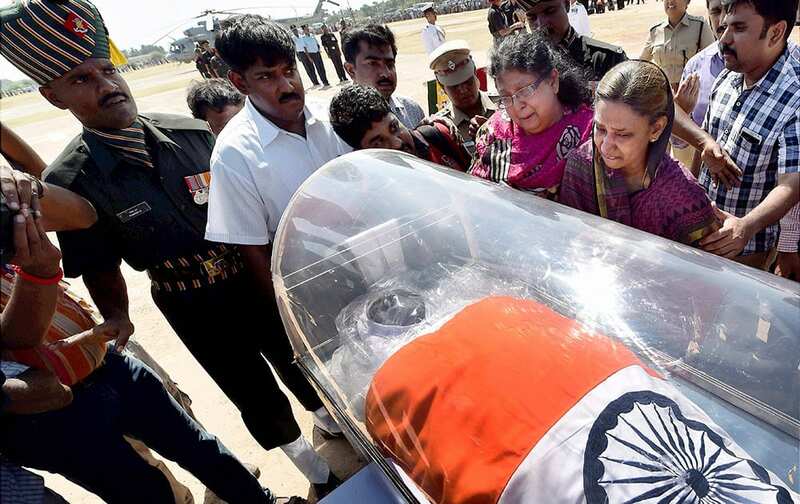 Family members of former President APJ Abdul Kalam wail near his body at Mandapam Helipad ground in Rameswaram. 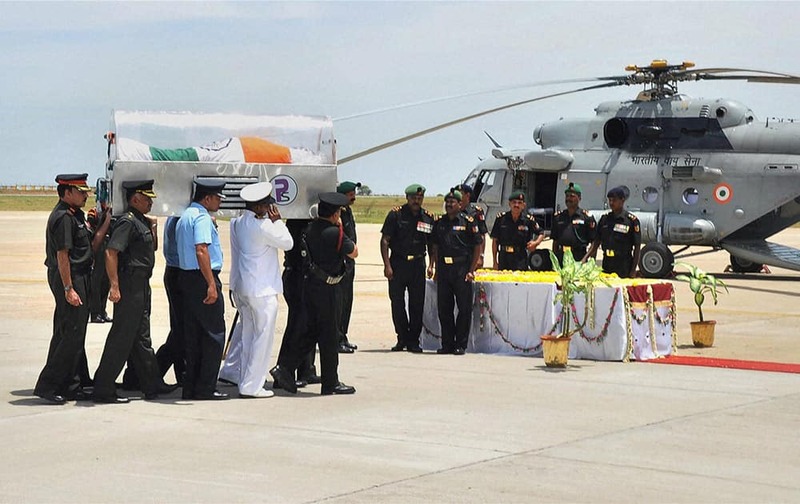 The mortal remains of former President APJ Abdul Kalam is carried to a chopper in Madurai. 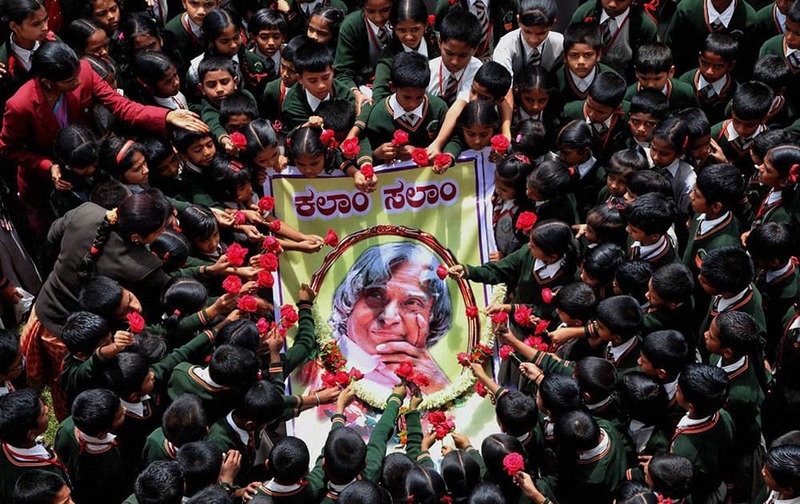 Students paying tribute to the former President APJ Abdul Kalam at a school in Chikmagalur. 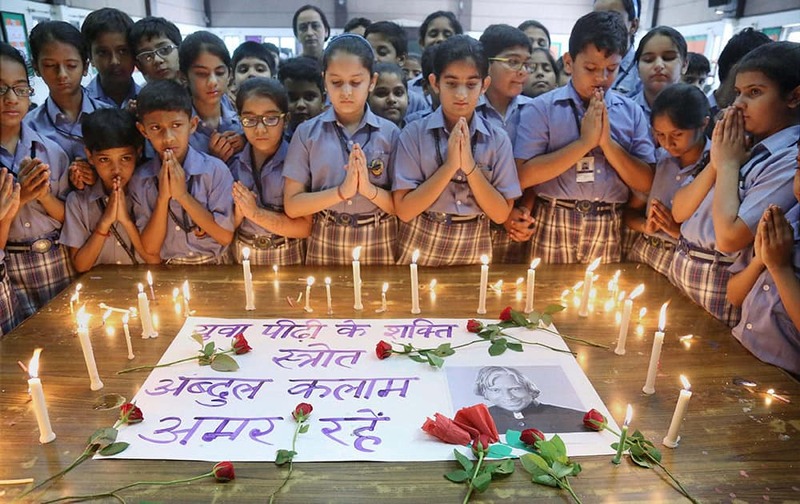 School children pay tribute to the former President APJ Abdul Kalam at a school in Gurgaon. Former Prime Minister Manmohan Singh paying respects to former President APJ Abdul Kalam at his residence at Rajaji Marg in New Delhi. 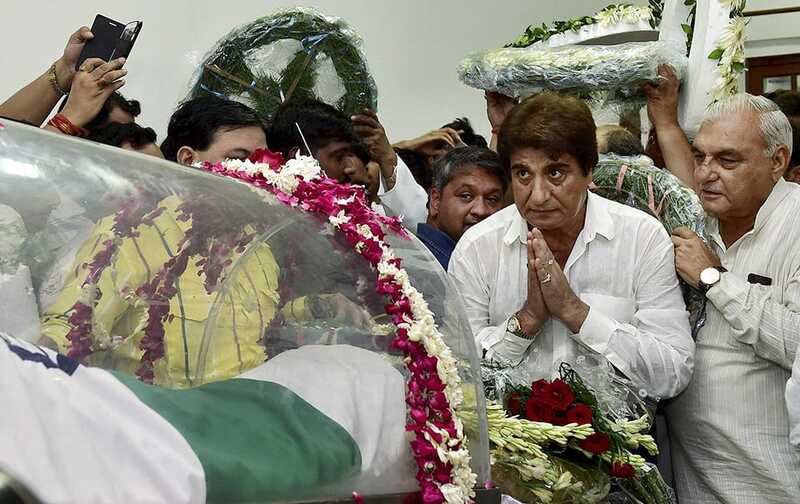 Congress leader Raj Babbar and former Haryana Chief Minister Bhupinder Singh Hooda pay their respects to former President APJ Abdul Kalam at his residence at Rajaji Marg in New Delhi. Cricket legend Sachin Tendulkar paying his last respects to former President APJ Abdul Kalam at his residence at Rajaji Marg in New Delhi. Prime Minister Narendra Modi paying his last respects to former President APJ Abdul Kalam at his residence at Rajaji Marg in New Delhi. 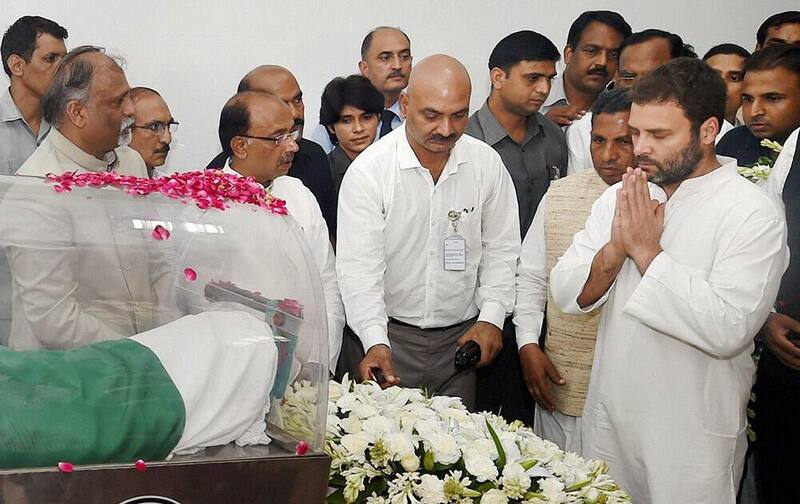 Congress Vice President Rahul Gandhi paying his respects to former President APJ Abdul Kalam at his residence at Rajaji Marg in New Delhi. 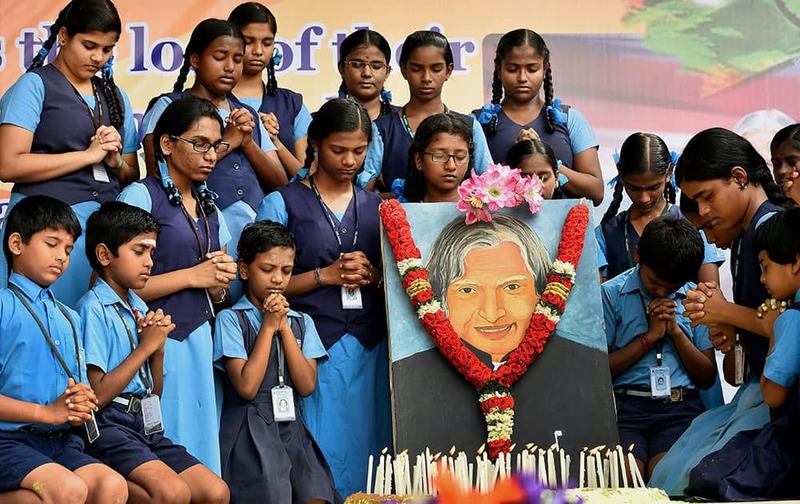 School children pay tribute to former President APJ Abdul Kalam at their school campus in Chennai. Prime Minister Narendra Modi, second right, places a wreath as he pays tribute to former President A.P.J. 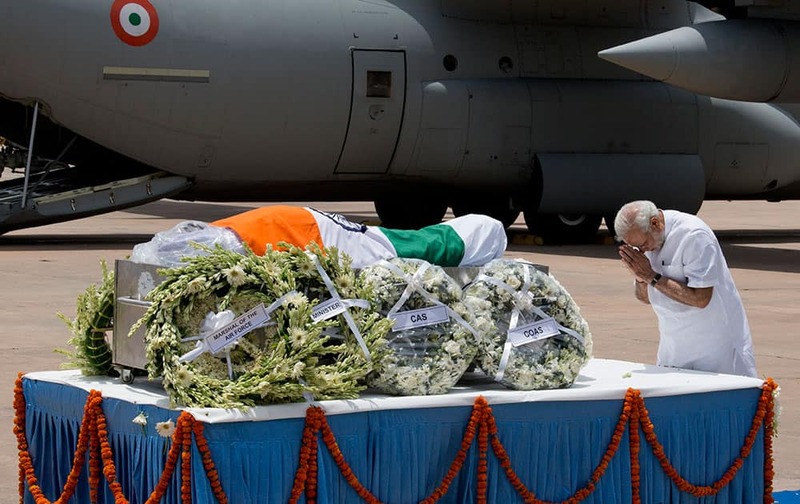 Abdul Kalam after his body arrived at the Palam airport in New Delhi, India. 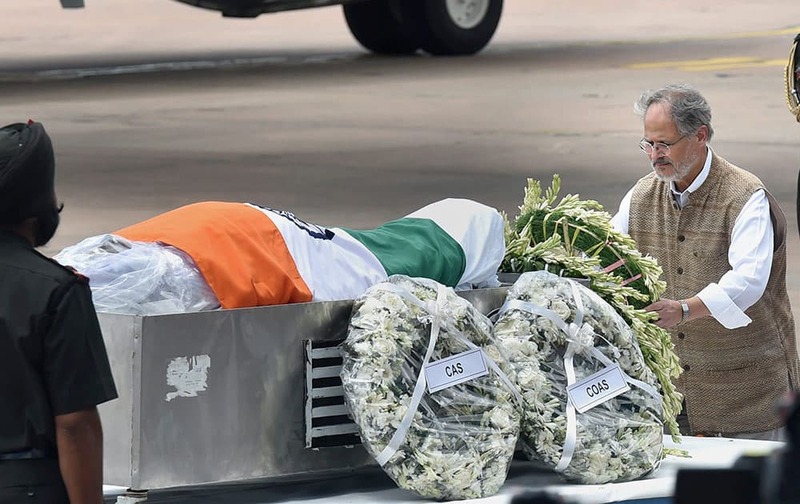 Prime Minister Narendra Modi pays respect after the body of former President A.P.J. Abdul Kalam arrived at the Palam airport in New Delhi, India. 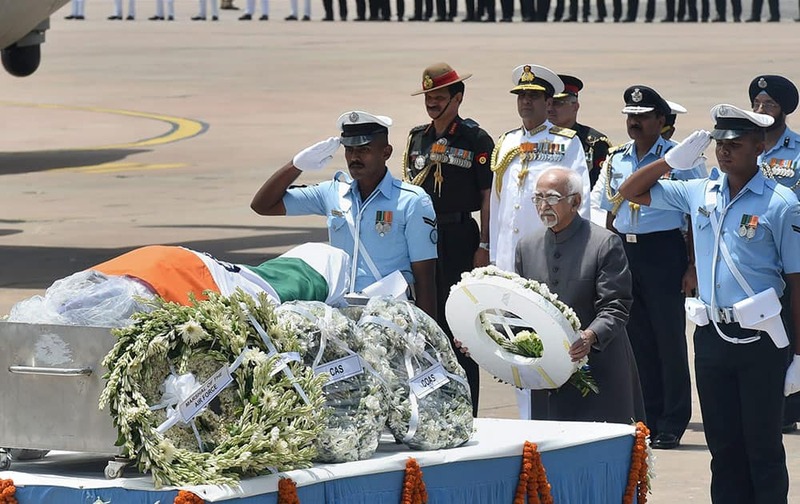 Vice President Hamid Ansari paying his last respect to former President APJ Abdul Kalam at Air Force Station Palam in New Delhi. 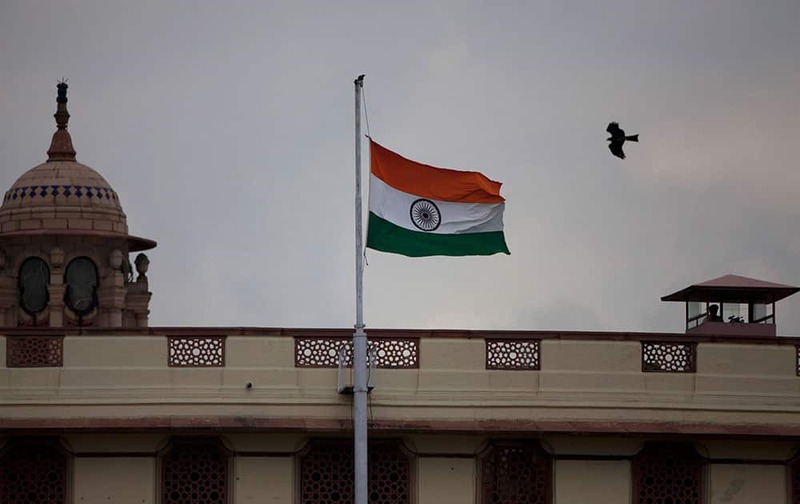 India's flag is flown at half-mast at the Parliament House as a mark of respect for former President A.P.J. 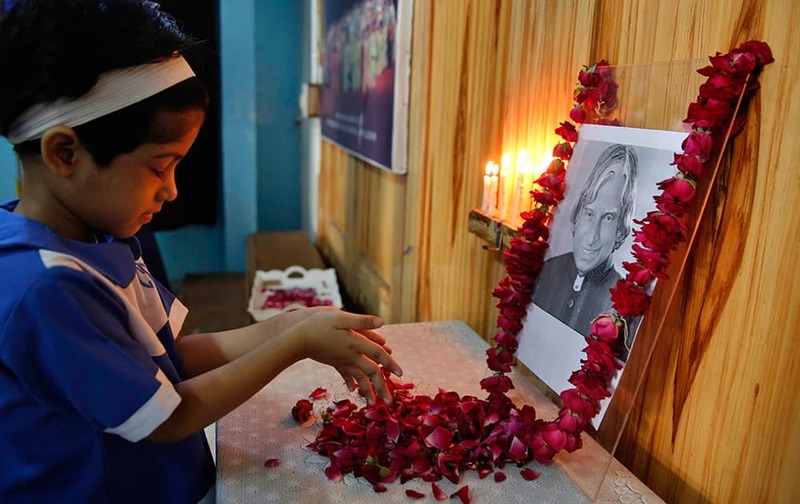 Abdul Kalam who died at the age of 83, in New Delhi, India. 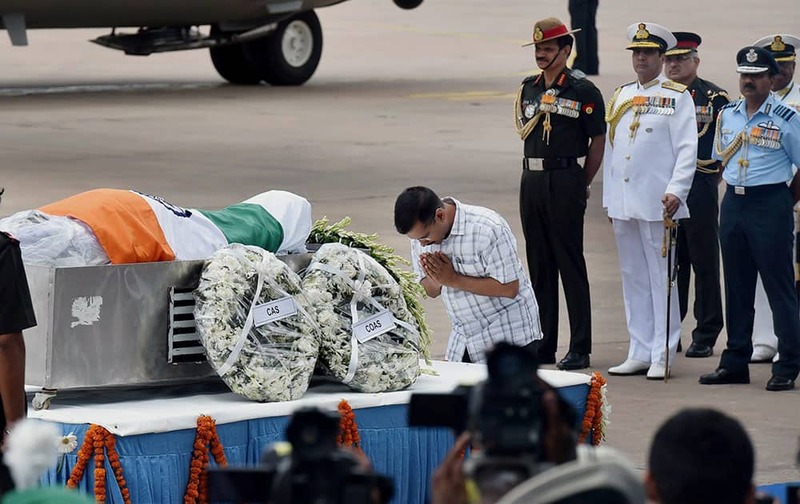 Delhi Chief Minister Arvind Kejriwal paying his last respect to former President APJ Abdul Kalam at Air Force Station Palam in New Delhi. 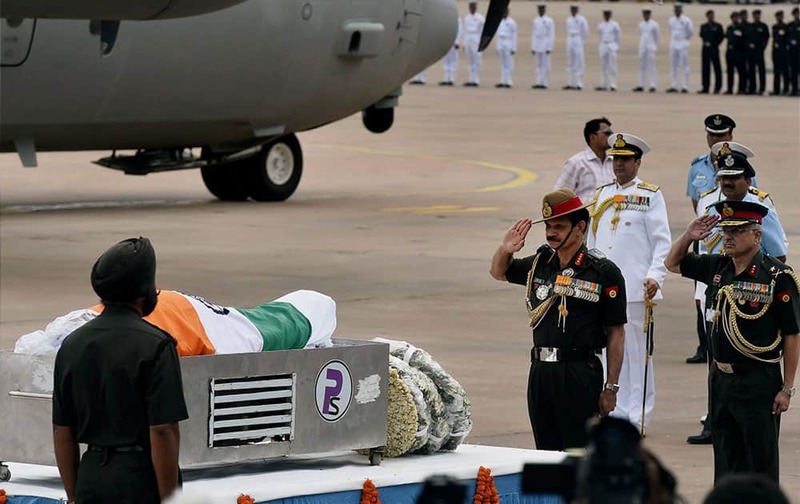 Army Chief Gen Dalbir Singh Suhag paying his last respect to former President APJ Abdul Kalam at Air Force Station Palam in New Delhi. 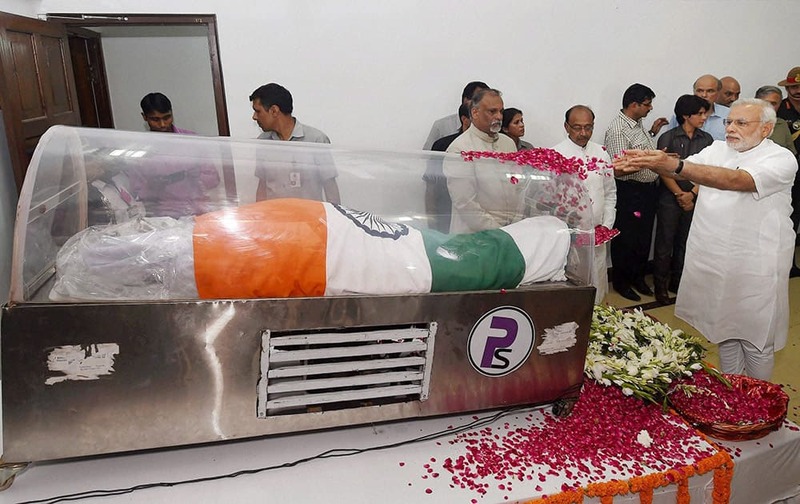 Delhi Lt Governor Najeeb Jung paying his last respect to former President APJ Abdul Kalam at AFS Palam in New Delhi. 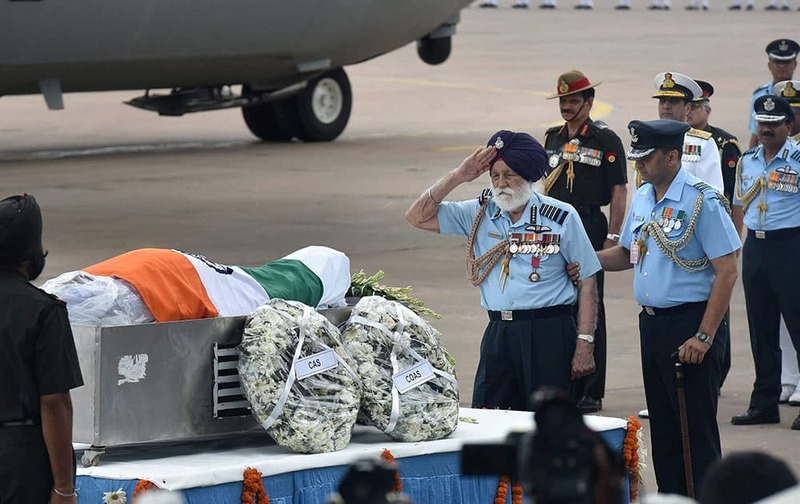 Marshal of the Indian Air Force Arjan Singh paying his last respect to former President APJ Abdul Kalam at AFS Palam in New Delhi. 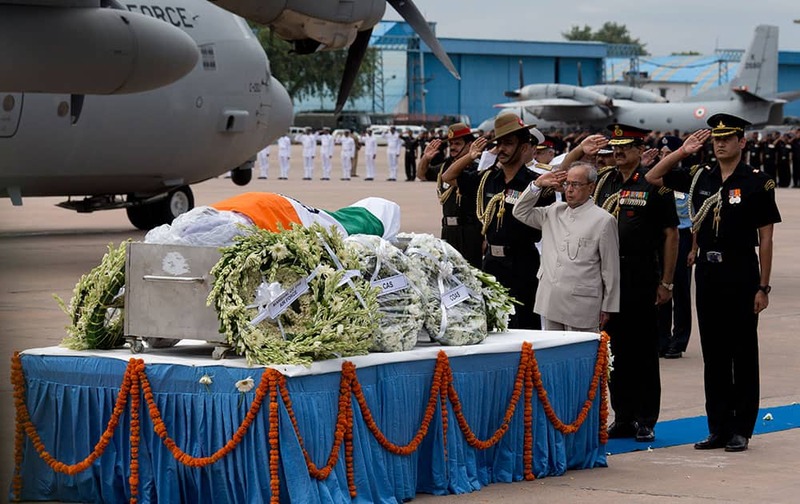 President Pranab Mukherjee, foreground, salutes the flag-draped casket of former President A.P.J. 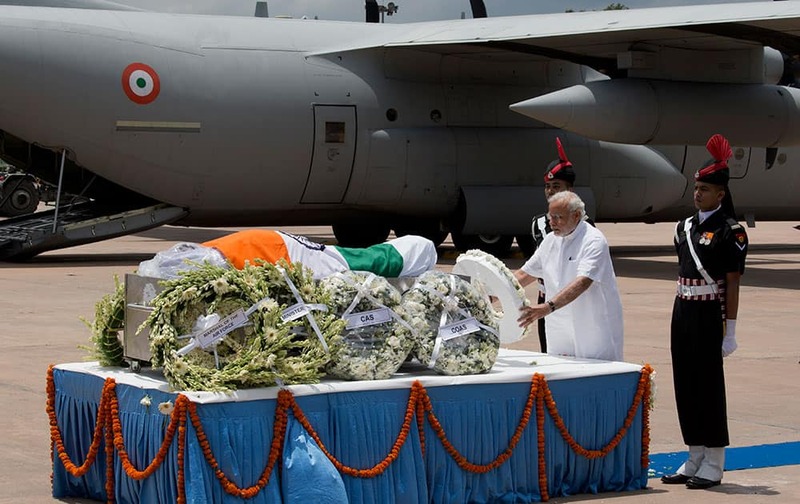 Abdul Kalam after his body arrived at the Palam airport in New Delhi, India. 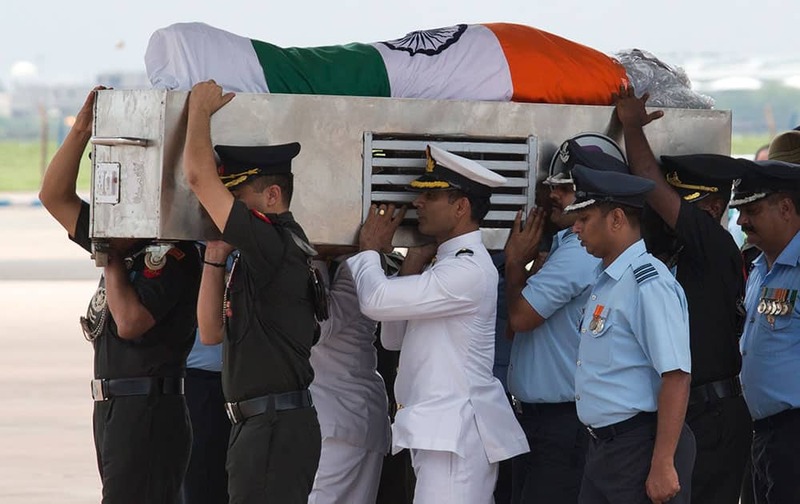 Indian Defense forces carry the flag-draped casket of former President A.P.J. Abdul Kalam after it arrived at Palam airport in New Delhi, India. 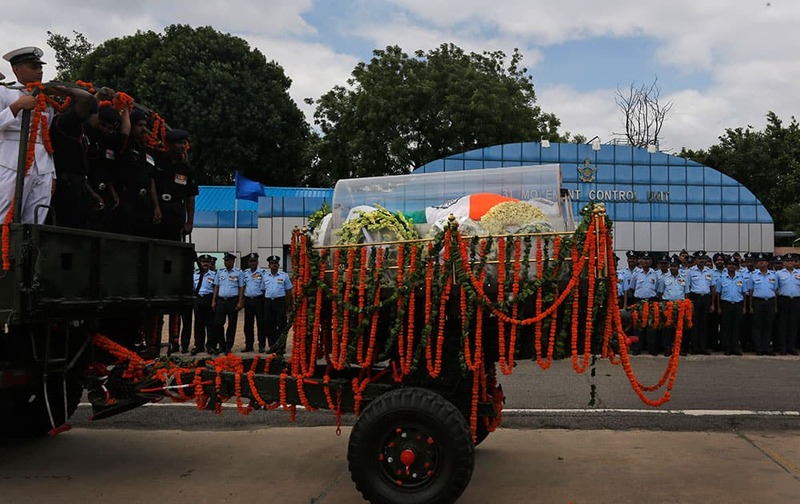 A convoy carries the flag-draped casket of former President A.P.J Abdul Kalam to his residence from Palam airport in New Delhi, India. A student offers flowers to a portrait of former President A.P.J. Abdul Kalam at CMS School in Lucknow, India. 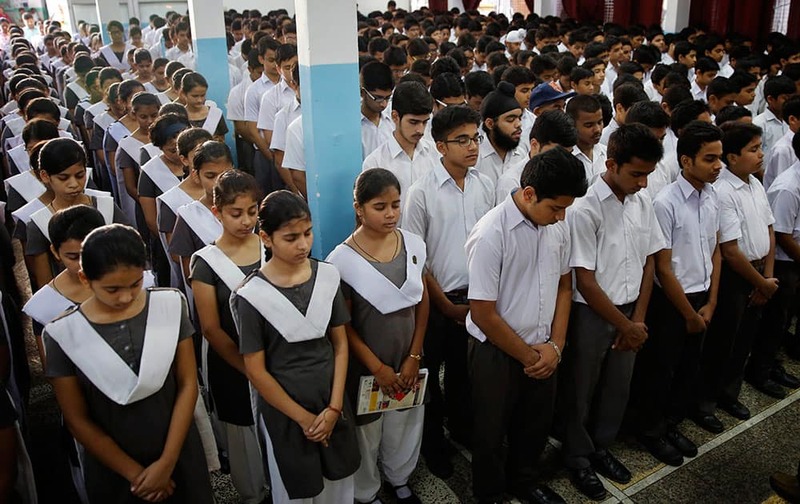 Students observe a moment of silence as they pay tribute to former President A.P.J. Abdul Kalam at CMS School in Lucknow, India.